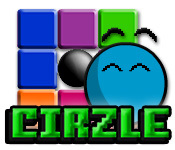 Can you solve the brain-teasing puzzle of Cirzle? Move the colored squares so that they match the diagram in this tricky online game.Squares make the Cirzle in this puzzle.Squares make the Cirzle in this brain-teasing online puzzle game. 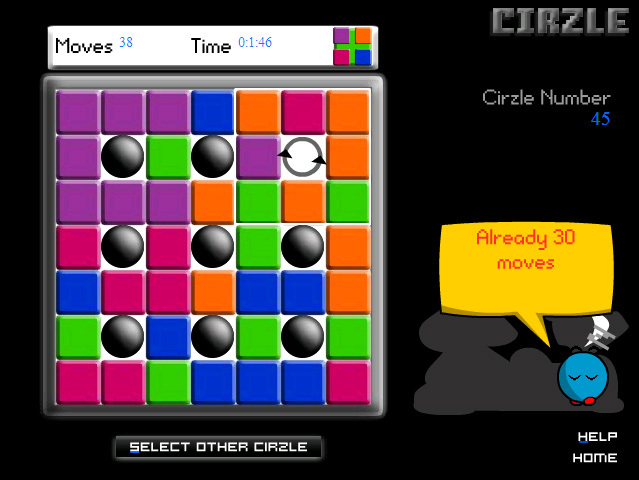 Arrange the colored squares on the Cirzle board so they match the diagram. Squares can rotate clockwise or counter-clockwise around the 9 balls on the board. Select a ball using the arrow keys. Press the space bar to rotate the squares around that ball. Then, use the arrow keys to move the squares left or right. 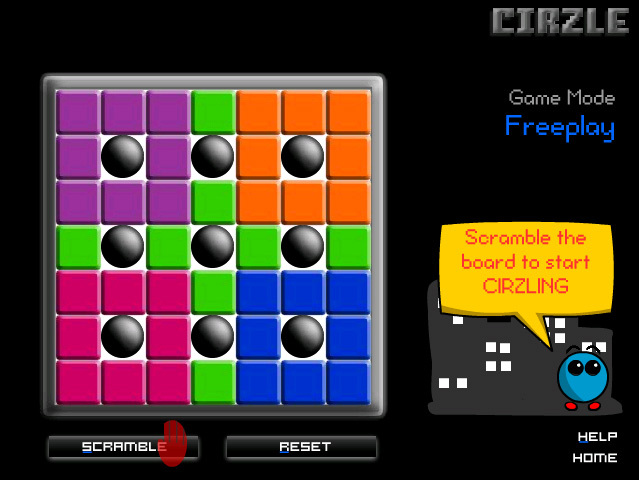 Choose from 49 pre-scrambled Cirzles or create your own in freeplay mode!